spent the last night in Cathy's room at ymca again! watched some tv then slept! we then went back to the lobby of ymca & waited for a MAXICAB! this was my first time takin' one! 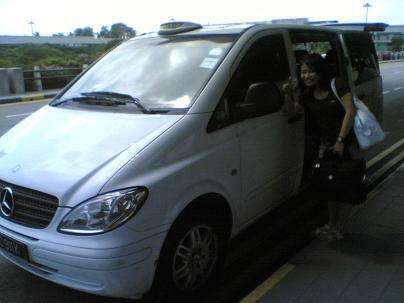 it was so big & comfortable inside! the MAXI-cab with MINI-bec, hoho. she managed to save $140 of excess luggage fee! hoho. 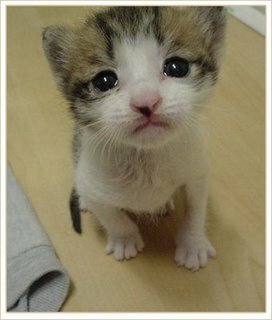 i want to fly to shanghai to visit them SOON! It is in reality a nice and helpful piece of info. I'm satisfied that you shared this helpful info with us. Please keep us informed like this. Thanks for sharing. & i really had a hard time lookin' for her! 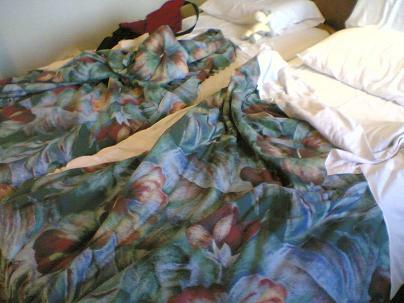 the beds we slept on! the night was spent watchin' tv, chattin', then sleepin'! then joined Cathy & Kelly in the breakfast buffet provided by y-cafe @ ymca everyday! wahaha. we then went to work together! this was the first time i reached the office later than 9am! gosh. cos they had to go back to their rooms to do more packin'! will be goin' over to Cathy's room to stay-over ONCE AGAIN tonight! 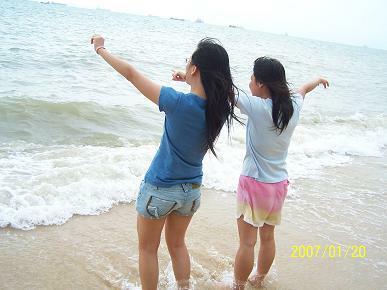 Missing you too, I will take care of myself when we meet again you will see a new cathy,haha! i miss you like crazy~. cos there was work for me to do! but what's the point of sittin' at home anyway? if not it'll be WASTED! all the best to your final-year project this year! hope you've enjoyed yourself yesterday, hoho. some photos from last weekend - the cyclin' outin'! heex. 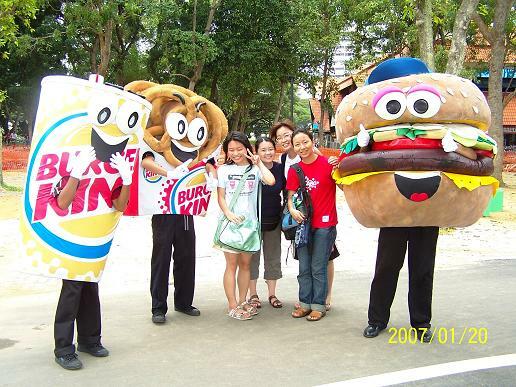 us with the burger king mascots! hoho. what were they doin'? 拍 MV? haha. quite a slow lunch shift. yawnx. 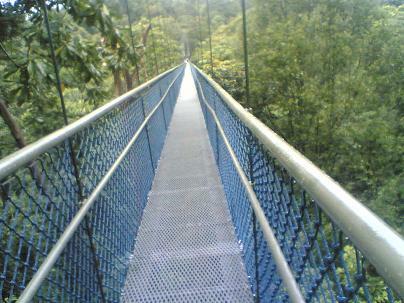 TREE-TOP WALK + YUKI YAKI + MIND CAFE! 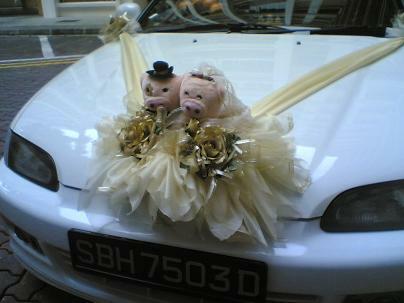 saw this at the carpark downstairs! so cute! went macritchie reservoir to meet Sharon! 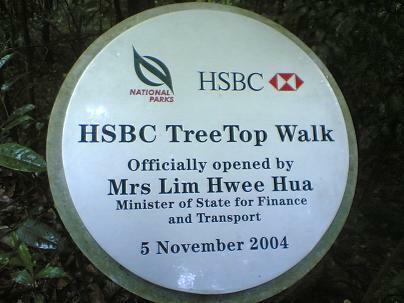 embarked on the tree-top walk! we really chose the wrong day - cos it was drizzlin' & drizzlin'! then it was a FREAKIN' long walk out! 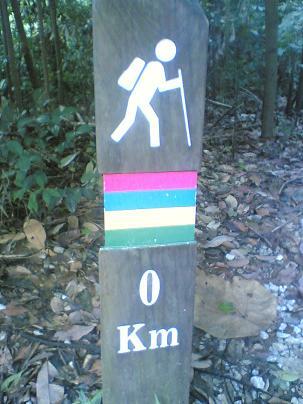 i think the total walk we covered was close to 15km? the start of the trail! opened in 2004 but this was my first time here?!? & went thomson's roti prata house for prata!!! went espirit @ raffles city to buy a top + bottom to change into! 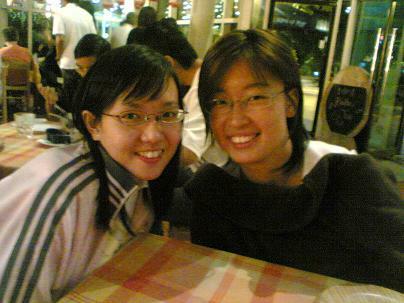 Sharon & i then met up for dinner with Yih Hong & Andy! 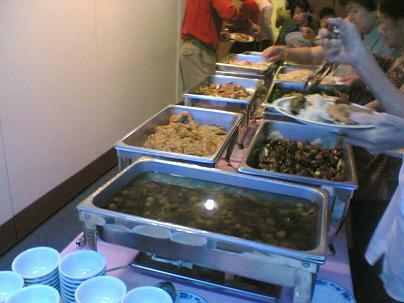 we had steamboat buffet (my n-th time..) at yuki yaki @ marina square! 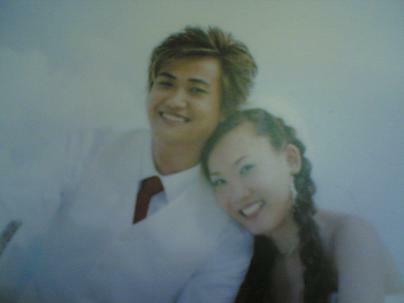 & the manager looked like tony leung! wahaha. had a good sense of humour too! hoho. & found the mind cafe at around 11pm+! hoho. the beginnin' of the HILARIOUS night!!! this was really a funny one to start off the night! 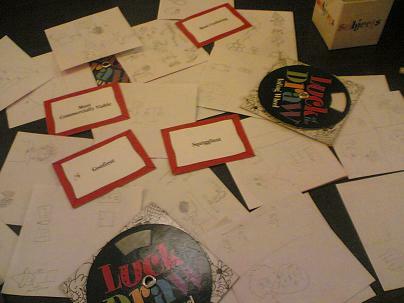 each person takes turn to throw the dice & draws a card, & these will determine the item to be DRAWN. all of us had papers + pencils, so we had to draw our own interpretations of the word. the first word was - BEEHIVE & we had all sorts of drawings for it! damn funny can! then another card is drawn, statin' the criteria for winnin', for eg., "the one that stands out like a sore thumb", so we had to vote for the drawin' that suits that criteria usin' the votin' wheel. 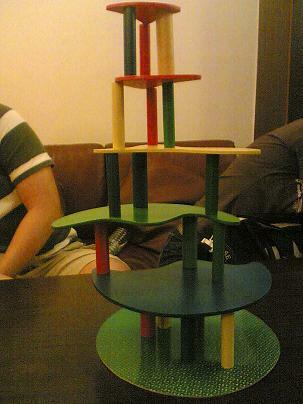 this is one of the standard + muz-play games in such cafes, haha. i don't quite like it initially cos i seriously have problems expressin' myself. but now i find it super entertainin', wahaha. all the tables around us were playin' this game! so i suggested that we try too. (i don't think i have to explain how is it played.) Yih Hong was my team-mate & he was tryin' to make me say the words "TOILET ROLL". & he said,"when you go & pee, it's somethin' you use but i don't use." i was like HUH? sanitary pad has nothin' to do with peein' right? Sharon already knew the answer cos she had to check on Yih Hong, so she was already laughin' her head off. MUAHAHA. now we know.. HAHAHA. and bein' SCIENCE geeks, i could actually guess "CARROT" from the clue he gave - beta-carotenoid. FWAH. then Andy was another funny one. Sharon was in his team, tryin' to make him say "BELLY BUTTON". Andy got to stage where he said,"NAVEL! ", then Sharon said,"yaya, another word for navel?". he paused & said,"tummy hole?". & we couldn't stop laughin' again. goodness. this next game was a reaction game. there will be one person who is the judge for the round, so he turns over a card, which shows an action to be done using our hands. the players have to quickly follow whatever is shown on the card & the judge determines who is the slowest to do it. a very short game but enjoyable too! a card game that requires memory & thinkin'! every player has 4 cards faced down & are only allowed to peek at the outermost 2 cards at the start of the game then you'll have to remember the numbers on them. 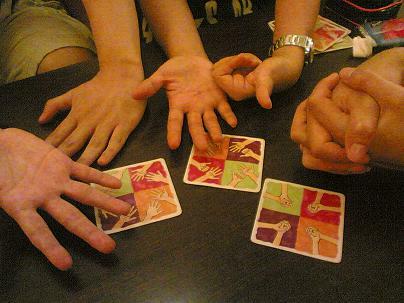 so at every round, each player picks up a card from the deck & decides if he wants to swap it with any of his 4 faced-down cards. the purpose is to get the 4 cards with the lowest numbers. this is quite a boliaox game! haha. 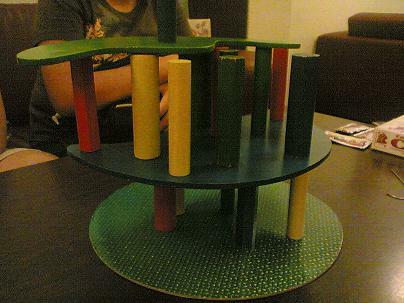 a balancin' game (somethin' like uno stacko. each of us has a colour & we had to remove our rods from the board & place it on the next level. once you know you have no rod/ the next rod you remove will definitely topple the structure, you have to suggest to start the next level. excitin' but quite boliaox too. haha. 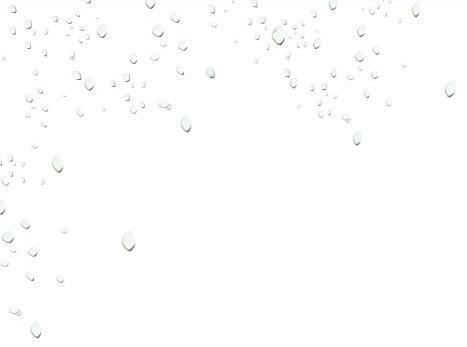 ..to a TALL one! aHhHh. another memory + thinkin' game. 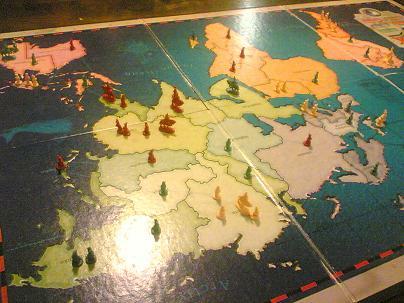 it was almost 2am when we started playin' this, haha. 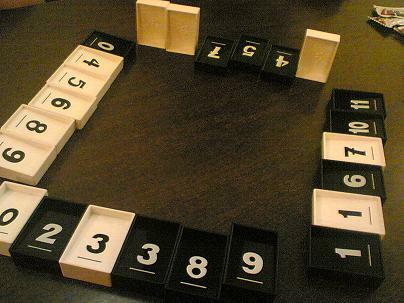 each player has 3 numbered-tiles to start off with. the aim is to guess everyone else's numbers on their tiles, knowin' that left has the smallest number and the right has the largest number. a very slow thinkin' game! our last game for the night! 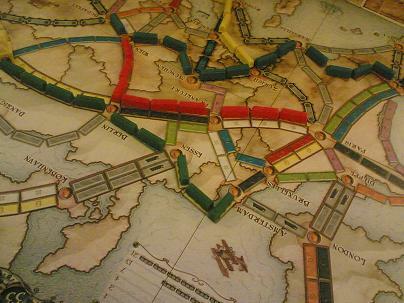 this is a board-game, which wants us to build trains from a place to another, dependin' on our missions. it's a strategy game and requires plannin'! we couldn't finish this game cos the place closed at 3am! haha. i accidentally mentioned i-gallop as i-horse! took a cab, & reached home at 4am! 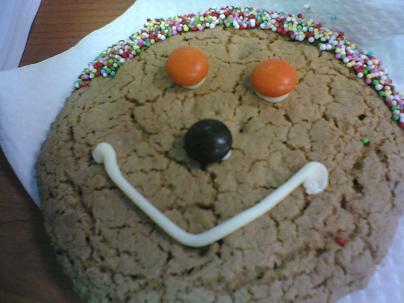 realised that, if the agency is good = my job will be much easier! 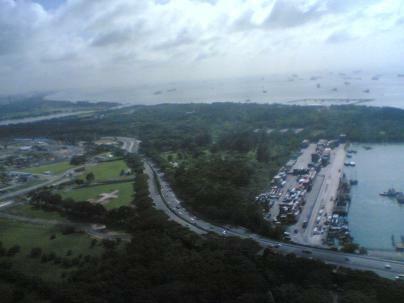 & she brought us to mushroom pot @ orchard point! 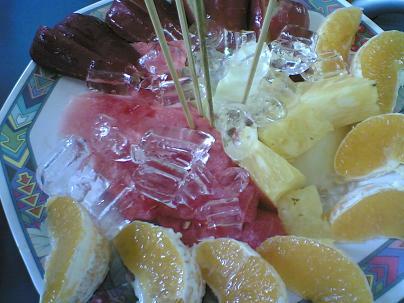 had only fruits platter for lunch! i really should cut down on my intake of EGGS! 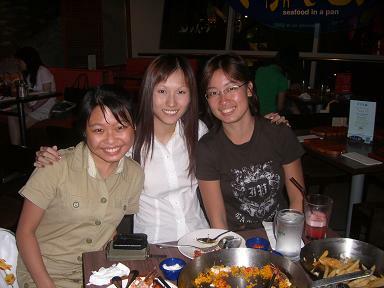 met up Sharon & Yih Hong for dinner! then ate the berry-misu cake which we've ordered from tiramisutra! still managed to finish up! call the spca somebody! animal abuser! 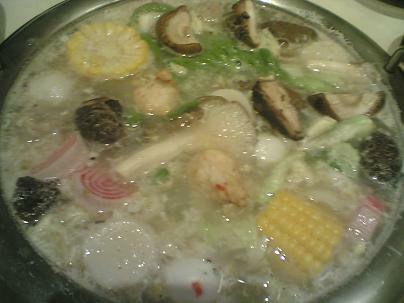 went for a steamboat buffet with Rebecca, Qiuyi, Pei Chin, Cathy, Wei Leng! bought the MOST expensive ticket - $168!!! after rushin' for days! whew. only problem is - it's $5.05! so this is the drama that has JJ! hana kimi! 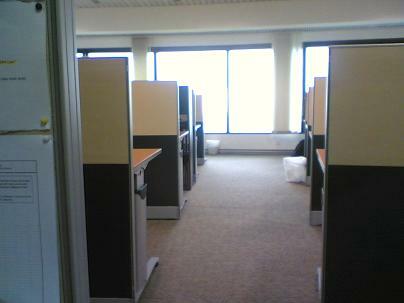 it's the 2nd week in the new office! managed to clear most of my urgent stuff! heex. & decided to clear one day leave on 31 jan! & if i take leave, i can send them off! 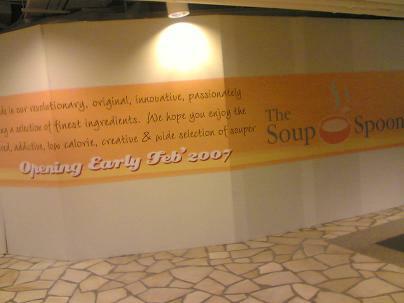 soup spoon is openin' at paragon's basement! my sister will be workin' very close to me SOON! 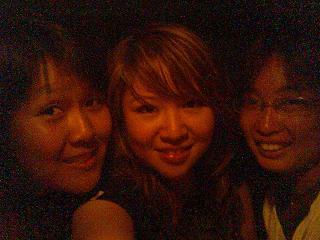 & we decided to go ktv!!! wahaha. but we still went east coast park to cycle! it's also burger king's grand openin' too! we then took a bus to YMCA! her place is such a cosy little room! while the rest of us went bugis! yet most of us ended up with red faces! haha. 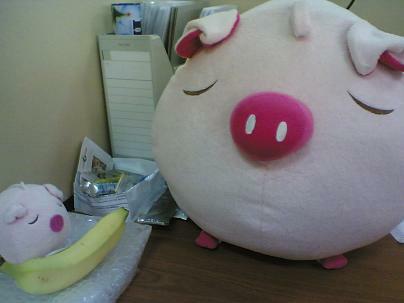 mummy pig:: baby, remember to eat your banana. met up with Adeline for dinner with Rebecca!!! long time no see! heex. she's still the same, if not, happier now! 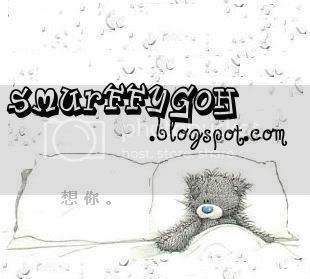 juz too many things to do! i've got like 3 or 4 datasets at critical stages? had lunch at maxwell market! 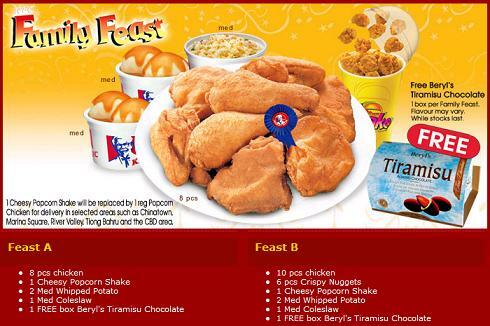 seems like tanjong pagar really has more choices! we are goin' to have a company jacket! watched project superstar - the finals for the guys! today is my sister's 21st birthday! cos somethin' suay happened - i accidentally deleted the folder that has my completed work! another great view from the office! i saw bai xiao jie aka Adeline!!! 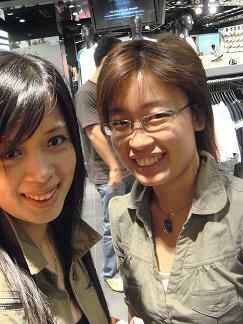 went plaza singapura & met up with Vivi & Seok Chuan! Vivi & Seok Chuan with our HUGE freeze! & hello to tanjong pagar! 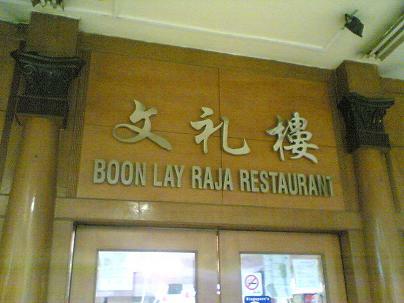 situated at the 44th level! my god. can you imagine the view? 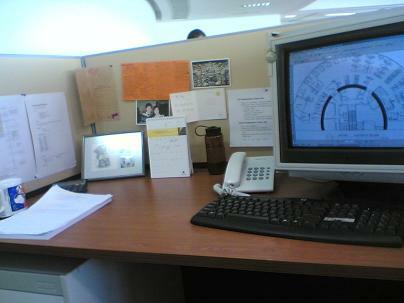 hope to keep my desk neat & tidy FOREVER! 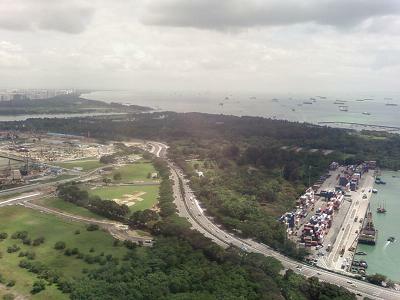 it overlooks the sea, the long east coast parkway, the world's busiest port & even sentosa! could also see the vessels, aeroplanes & the clouds! the view i get the moment i look to the right! went amoy food market for lunch! cos the server was runnin' so slowly! 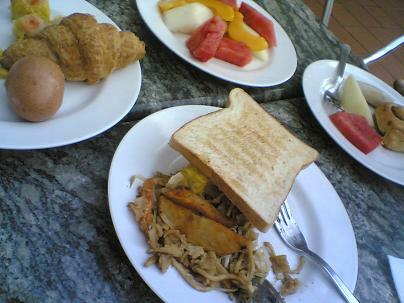 FOOD:: MORE choices i feel! amoy alone has SO MANY stalls to choose from. 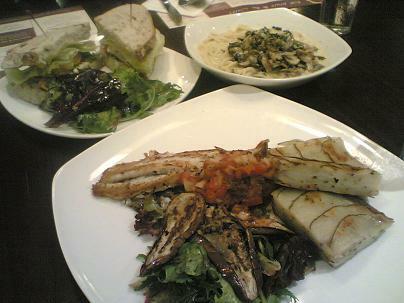 also saw many eatin' outlets like pasta mania, sakae sushi, etc. nearby! VIEW:: definitely better! the old one has a view of the concrete jungle. this has a mix! TEMPERATURE:: still as freezin'! boo. SEAT:: still not very strategically located. haha. what's worse, Syam is so faraway! but i have to say, it's more spacious! ACCESSIBILITY:: have to transfer a train to get to town! didn't make much of a difference by bein' one stop closer to home. TOILETS:: we gotta get a key if we want to go to the ladies! argh. so troublesome! & the toilet is so stuffy! still prefer our cool little toilet in the old office, where there's music + air-con! i wanna have something from me on your desk!!! lolx, i can stick your christmas card up! gasp.. like that how to work?!? he's from malaysia - a tall, tanned, lanky guy! 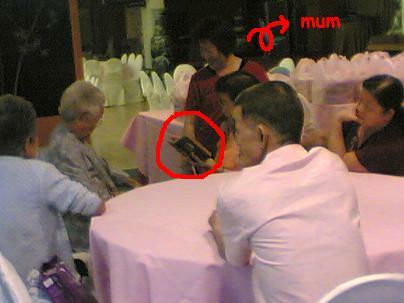 my mummy showin' my graduation photos to relatives again. -.-"
my mum popped the question,"do you have a boyfriend?" 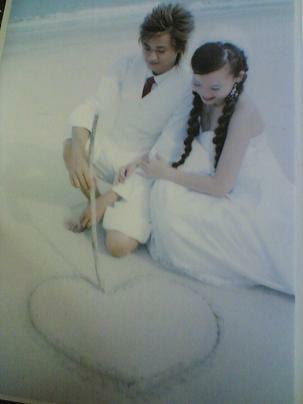 Love doesn't juz happen, you have to make it happen. 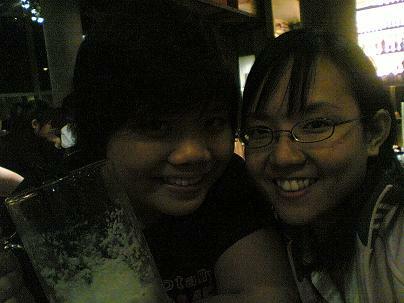 my younger sister (who is even more independent than me) is turnin' 21 on the 17th jan! i bought this for her, knowin' this is the thing she needs right now! a really sleek, silver i-nano 2GB mp3 player! woohoo. because it is such a good book! 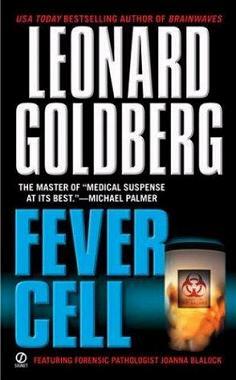 but leonard goldberg - fever cell! ah well.. ya la.. now where's my 'somebody'?!? hoho..
there was a landslide juz beside the tracks cos of the rain! cos the movers would be shiftin' our stuff! when is this rainy season ever goin' to stop?! i miss the good old sun!!! woo baby baby baby baby baby baby..
guess i'll miss this place? Want JJ Lin as your pin-up boy? Five exclusive autographed posters up for grabs! Five exclusive autographed JJ posters are up for grabs for those who have a flair for visuals and storytelling! It's easy. Imagine you call the shots as the music video director for a JJ Lin music video! Good luck! The best five answers win. 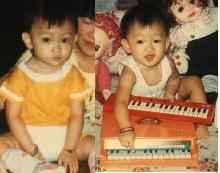 Subject:: JJ Lin: One Thousand Years of True Love.. He was by the hospital bed, where his dear girl lay. She was leaving this world soon, then his tears touched the angels above. The angels had a deal - if they were to allow the girl to live on, he would, in exchange, become an angel (the girl wouldn't be able to see him) and the girl would have lost all memories of him. He agreed. 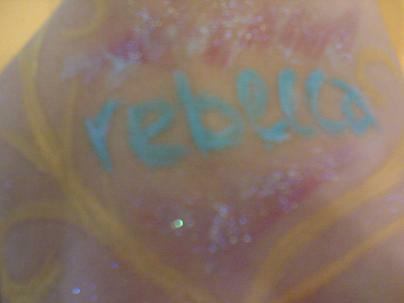 And she lived. Her family was so relieved she pulled through, and told her about the boy she was deeply in love with, but she doesn't remember such a person. The boy stayed by her side every day, watching over her just like her guardian angel. She was reincarnated everytime her cycle of life ended. Today, in the year 3007, one thousand years later, he had watched over her for over 10 generations. 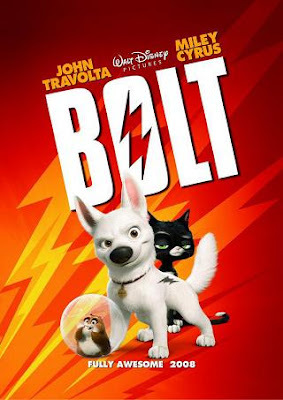 From the dear girl he has always loved, he has taken care of her when she was reincarnated into a cute little puppy, a goldfish in a tank, a successful business woman. Congrats! You have won for yourself an exclusive JJ Lin autographed poster in our Channel 5 Online Web Interactive contest. haha alamak so much for just a poster? 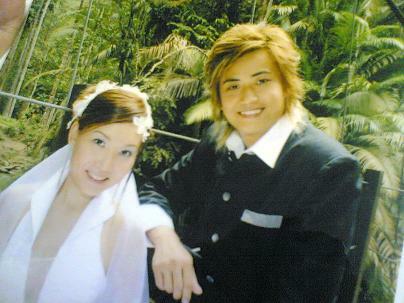 !wah they so giam leh..
lolx! that's enough for a JJ fan! muahaha. it took more than 2hrs!!! work was kidda busy for me! 1. Regular naps prevent old age... especially if you take them while driving. 5. A child's greatest period of growth is the month after you've purchased new school uniforms. 6. Don't feel bad. A lot of people have no talent. 7. Don't marry the person you want to live with, marry the one you cannot live without... but whatever you do, you'll regret it later. 8. You can't buy love. . But you pay heavily for it. 10. Forgiveness is giving up my right to hate you for hurting me . 13. My wife and I always compromise. I admit I'm wrong and she agrees with me. 14. Those who can't laugh at themselves leave the job to others. 16. It doesn't matter how often a married man changes his job, he still ends up with the same boss. 20. Real friends are the ones who survive transitions between address books. ever knew someone who doesn't like to watch tv? that's why a new resolution --> watch more tv!!! Thanks for finally writing about > Untitled < Liked it! 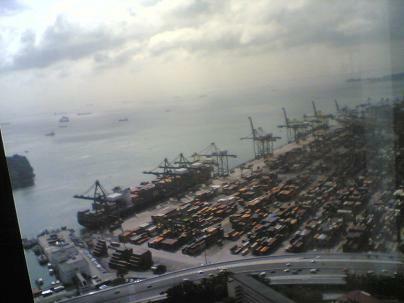 we will be re-located at temasek tower @ tanjong pagar! any recommendations on good eatin' places there? 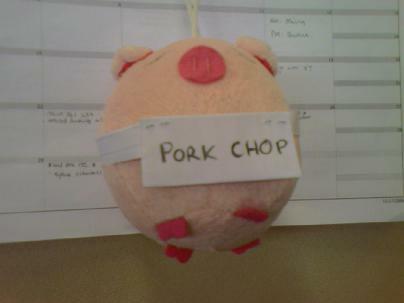 today is my colleague aka shijie's (Wei Leng) birthday! older angel saw a hole in the wall and repaired it. When the younger angel asked why, the older angel replied, "Things aren't always what they seem." you missed the bus - this bus could most probably meet an accident, or you may get pick-pocketed by a thief on this bus. your internet connection isn't workin' - you will sleep early & get enough rest instead of gamin'/ chattin' through the night. you lost your handphone & cash to a robber - but you have your life saved. you didn't get the job you applied for - the people & environment there may not suit you at all. you get retrenched - you get a long holiday! wahaha. 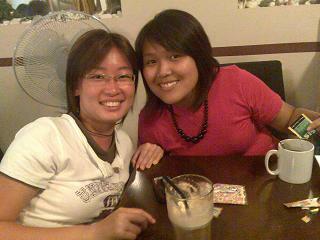 Wei Leng came to spageddies for dinner with a group of friends! will give them to her tomorrow, representin' my department! heex. 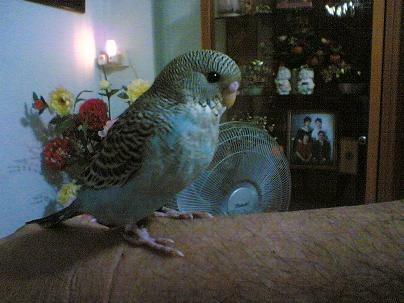 there's a new pet at home! 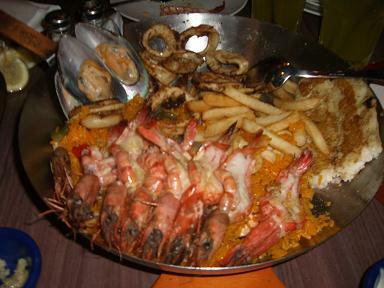 WEEKEND - SETTLERS' CAFE + WALA WALA! the weather was FANTASTIC today! went out for a quick swim + get some tan! argh. i miss cyclin' so much. don't care, i muz go soon! anyone has other bright ideas? or interestin' places to go? 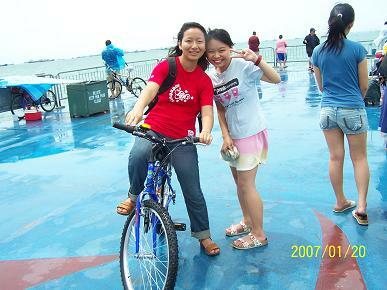 in 2007, i hope to..
1. go cyclin' at east coast park frequently! 6. watch the phantom of the opera musical! 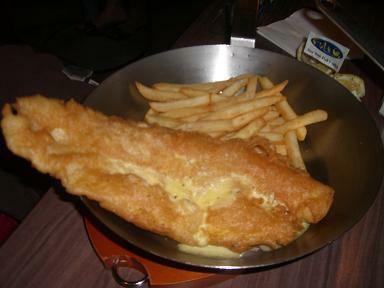 8. visit the night safari, zoo, jurong bird park, mount faber, botanical gardens! 10. watch a 'live' concert at the singapore indoor stadium! 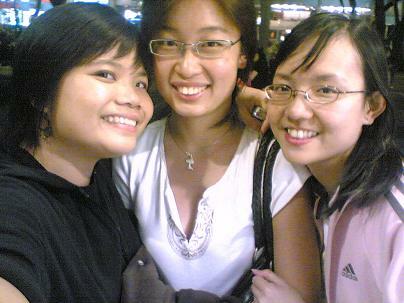 met up with Vivi & Ah Du! 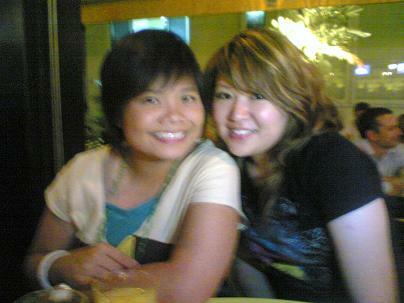 many friends joined us too - Joy, Ruby, Joycelyn, Zhi Wei! 7 of us in total, woohoo. that was so tough for a vocab-limited person like me! 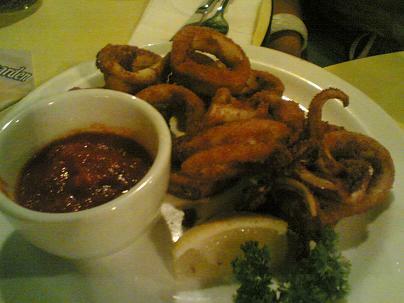 then left for wala wala! it was saturday night, so it was darn packed! Ah Du, Ruby & me! 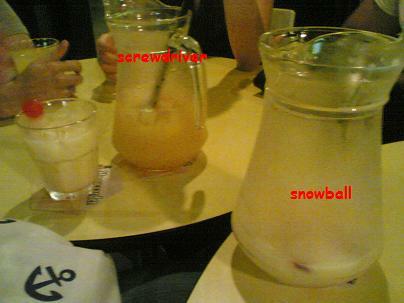 our JUGS of drinks! screwdriver + snowball! 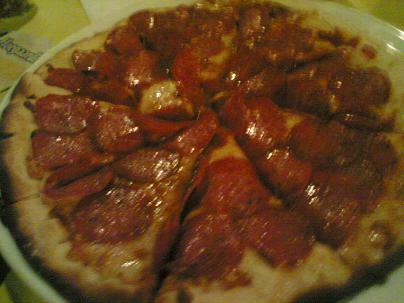 our pepperoni pizza. wah, so much pepperoni?! hardly could see the band? 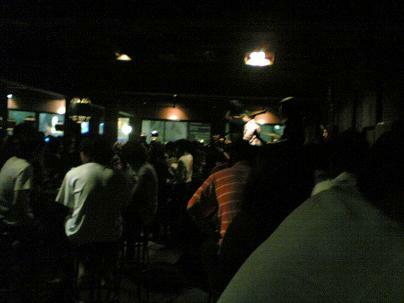 too dark + packed!